The newly built Tri Lanka is an ideal place to visit this Sri Lanka this summer if you are looking for a holiday at a beautiful eco friendly resort where nature will vow you from different corners of the resort. 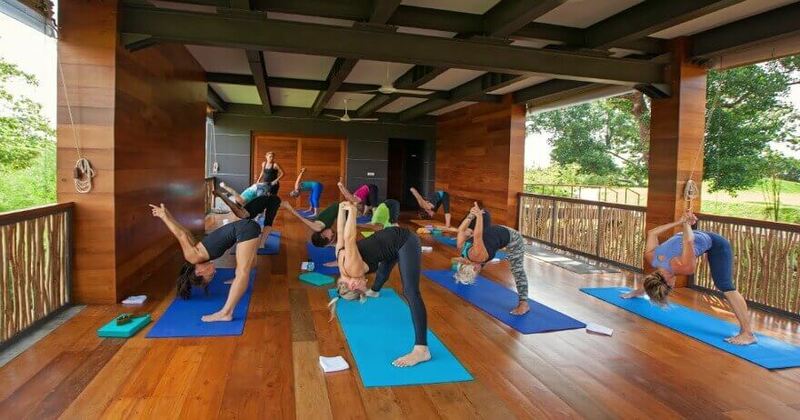 Wake up to the view of the Koggala Lake, Sri Lanka’s largest natural lake and refresh yourself at the yoga pavilion with your favourite yoga moves. Water tower rooms : Located in the heart of the resort, the water rooms are on the ground, 1st and 2nd floors of the central water tower which offers great views of the surrounding will keep you company during your wellness holiday. Lake suites : The beautiful living space comes with a private balcony to enjoy the beauty of the koggala lake and situated up the hill of the resort which can be reached by about 20 steps. Enjoy a private yoga session with Lara the founder of quantum Yoga with a complimentary Ayurveda assement !!! Contact Ayurva Wellness experts to get the Special exclusive prices!! !